If you are the one, who has been intensely struggling with several challenges, events, obstacles or unrequited questions, then my psychic reading or tarot reading services can be the perfect choice for you. With the help of incredibly precise readings, I can tell you what actually I see. Lots of people approach my service in order to solve the personal issues. My only vision is to generate a convivial space wherein you can get inspiration, recommendation and relief from your chaotic lives. Sometimes, you perhaps find it to be very hard to discover the right individual to express all concerns, panics and worries and you like to be really treated with empathy and compassion. You may want assurance or have queries that you find difficult to answer impartially. So, in such situation, you only need the help of my competent spiritual reading as I can present you the solution that suits your requirements. Tarot readings, Medium readings, Psycometry, Spiritual Healing, Reiki healing, Psychic Clearance and Regression in Past Life and so on- I deal with everything. I am able to interpret not only you past and present but also future. By analyzing your dream, I also predict your career. Besides, my clients also come to me for solving the problems of sexuality. With my prayer, I remove all your negativities. I always believe that every person must have the opportunity talk with a psychic whenever they need. And for this reason, I strive to present the most reasonable pricing at all times. I offer a variety of readings with the use of different tools like- gypsy cards, Tarot cards, crystal ball and many more. You may choose your option from my psychic services, and these comprise psychic interpretations with phone, psychic emails, or also psychic SMS. As the best psychic reader, I will dedicatedly divine your prospect in various means; I can apply Angel cards while often I may choose Astrology. Besides, I am one of those psychics who can channel any messages or words from your dear ones. Moreover, I have clairaudience as well as clairsentient skills that allow me to find answers to any difficult question that you pose. With the profound insightfulness, I am competent to help every sort of people in solving unknown or known challenges. Your psychic reading will surely be very informative, and you can recognize what is truly happening in your own life. All information and results are kept between your psychic and you yourself and is not shared. If you think that you have been unfortunately deceived by any means and are not really happy with your sexual life, then you can contact me. 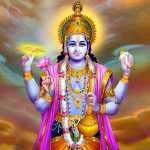 I will make all the efforts to make sure that you get the most reasonably priced spiritual reading. I specialize in love and relationship readings and advice but I am not limited to this. I can read into many things including reaching out to those who have passed on. I am not able to connect with every spirit that has passed on, but many of them, I am able to establish a connection with. If you are wanting a channeling, I will make sure I have a connection with the spirit before you are ever asked to hire. I am a natural psychic and do not need the use of tools or props to give my readings. My mother noticed my abilities as a small child and started working with me then to help me develop them and be able to focus in on them. Many times in life people are left with questions that they need or want answers to and I am happy to help. I am here to guide you spiritually and emotionally. If there are things in your life that you cannot change, I do provide spell work as well. My abilities have been passed down in our family for many centuries. I feel like she gave me good insight into my relationship at the moment. very nice and patience. professional spiritual healer. love this woman so supportive. Sweet Lady, wish we could of talked longer. Love her she is so calming and helps relax my anxieties.. she's a lovely soul! Thank you much! She is honest and understanding!